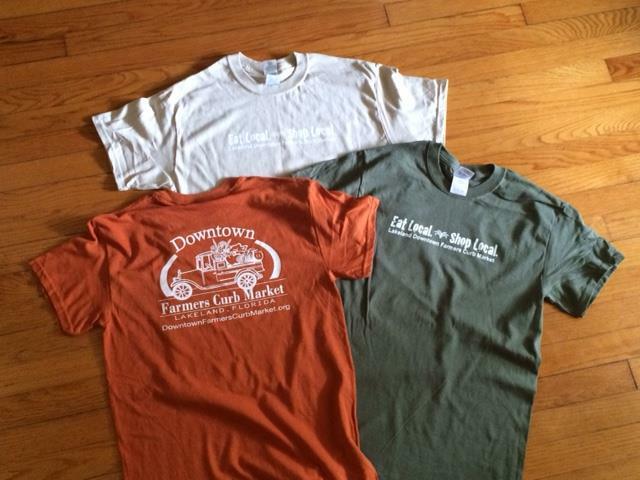 Vendor News: Celebrate the Harvest at the Farmers' Market! 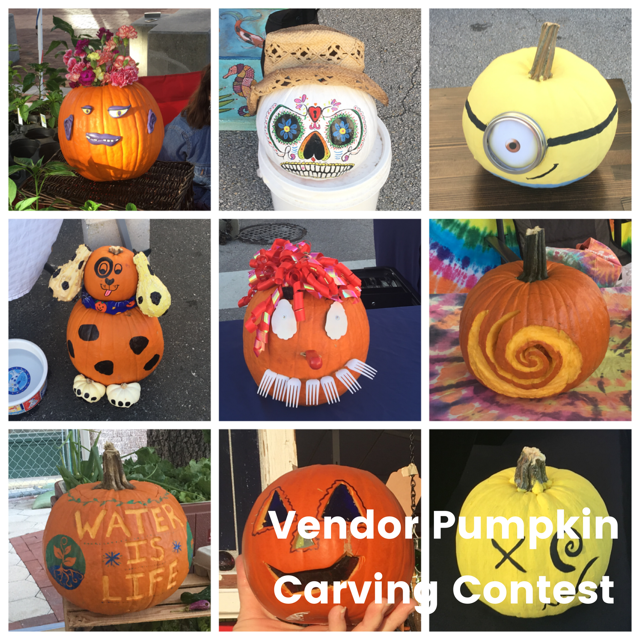 A special thank you goes out to all the vendors who participated in the Pumpkin Decorating/Carving Contest. It added a festive air to the Market. Your names have been recorded and a $10 discount will be applied to your December Shared Marketing Costs invoice. I would like to congratulate Heather New on winning the contest. She collected 36 votes! The weather is getting better and better, our winter visitors should be arriving soon, and the Market is filling up fast. Don't forget to email me whenever you want to be featured in the newsletter or want me to share something on Facebook. Let's have a great holiday season! 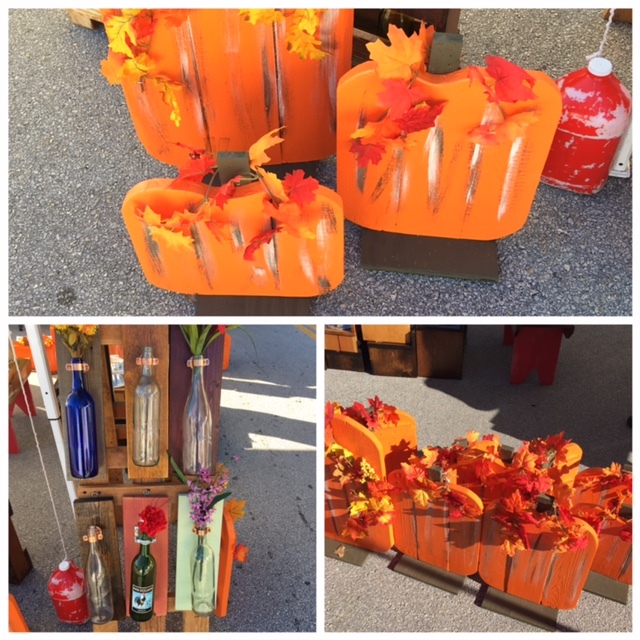 Celebrate the Harvest at the Market! Now that Halloween has passed, we can look forward to the abundance promised by the Thanksgiving feast. 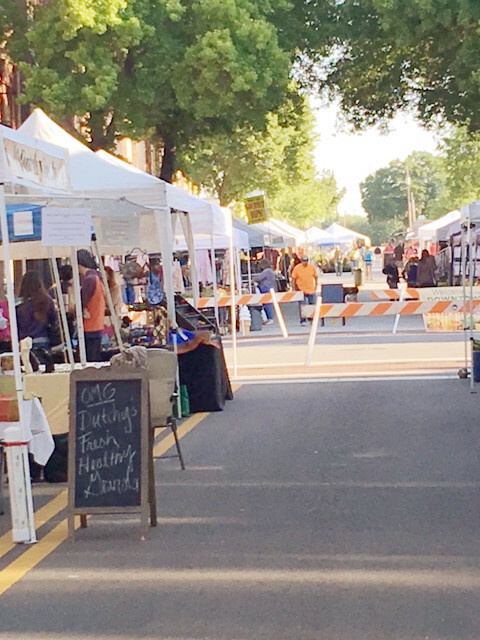 It's a season of family, friends, good food, and relaxation, and you can celebrate all of those things at the Market! Bring your whole family to the Market, and let your kids pick out their favorite fruits and veggies from our amazing produce vendors. Visit with old friends and with vendors who have become like friends. Sample some of the delicious fare offered by our food vendors, and above all else, relax. Take your time. We're there from 8am to 2pm. See you on Saturday! And the winner is...Art by Heather New! 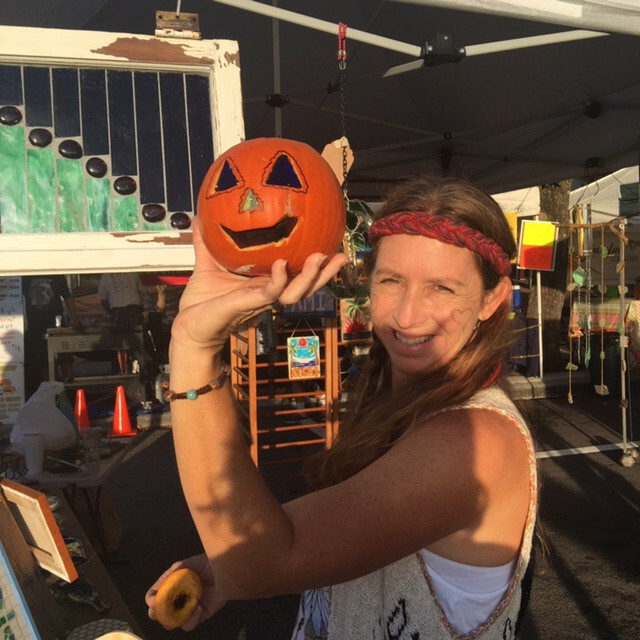 Heather won the 2016 Most Creative Vendor award for her stained glass pumpkin that was very representative of her beautiful stained glass and mosaic art business, Art by Heather New! Check out her tent this Saturday to congratulate her on her win and admire some of her amazing pieces. 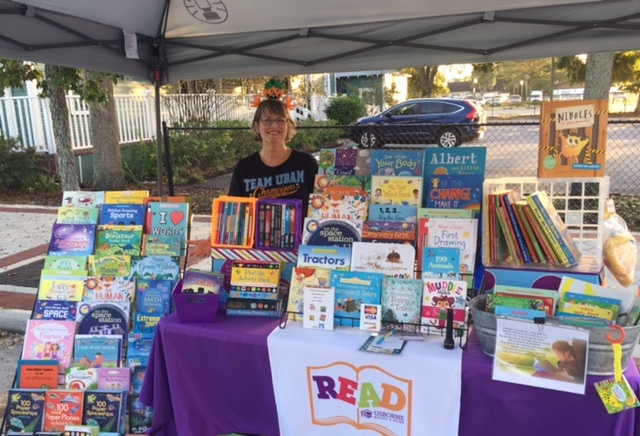 Usborne Books & More, one of our new vendors, provides entertaining and educational children's books designed to help make reading and learning more fun. They have everything from baby board books to high school reference books. Check them out this Saturday! 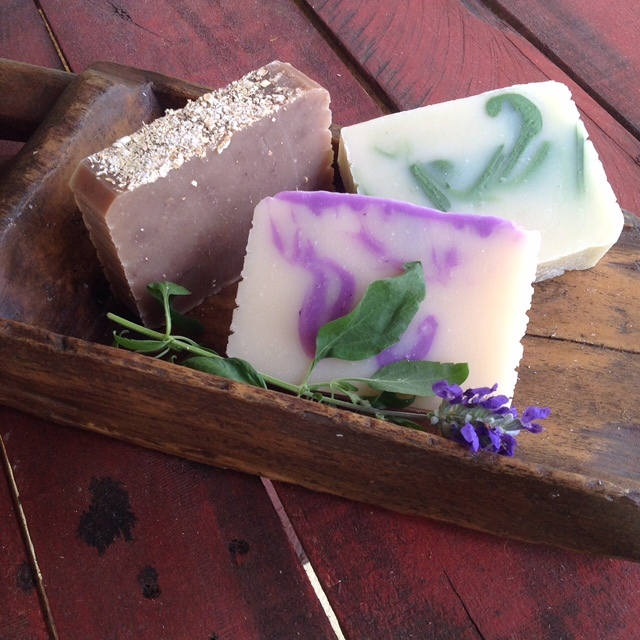 Soap for the Soul's Soap of the Month for November is Gingersnap! 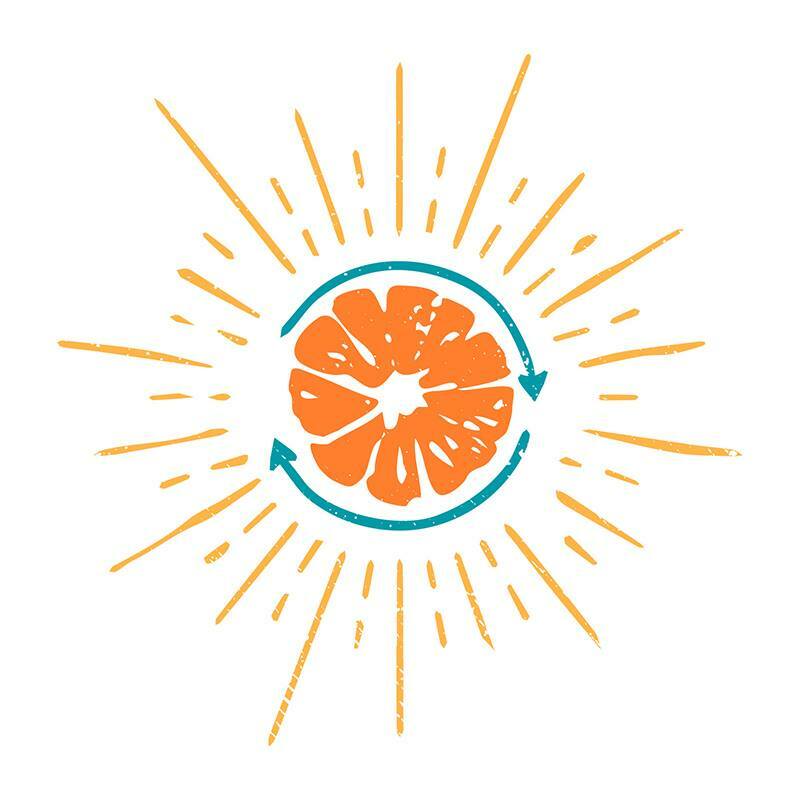 Stop by their tent, and check out their soaps, sponges, and lotions this Saturday. 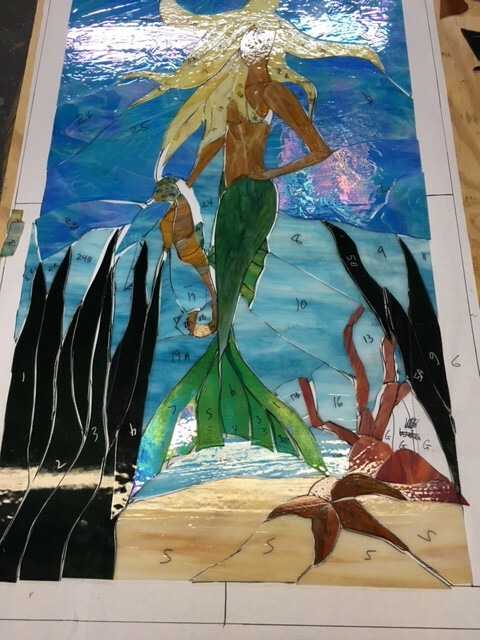 Art by Heather New is working on custom stained glass windows for homes. Take a peak at her current project. This piece measures 52.5" high by 32" wide. 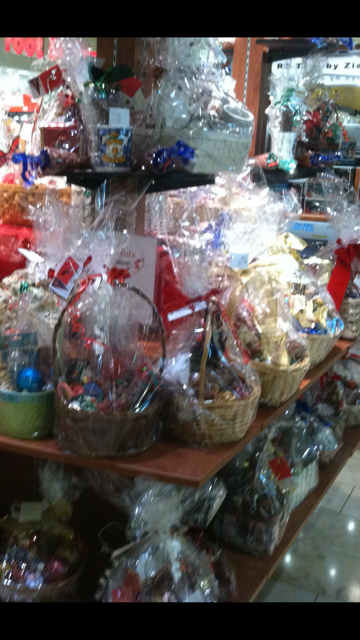 Nuts Galore offers custom-made baskets that would make the perfect birthday or holiday gift. Order today, and it will be available for pick up next Saturday. B's Botanicals creates healthy products using their own organic, home-grown herbs--like rosemary, citronella, and lemongrass in their Mosquito Stick and camphor leaves in their camphor rub. 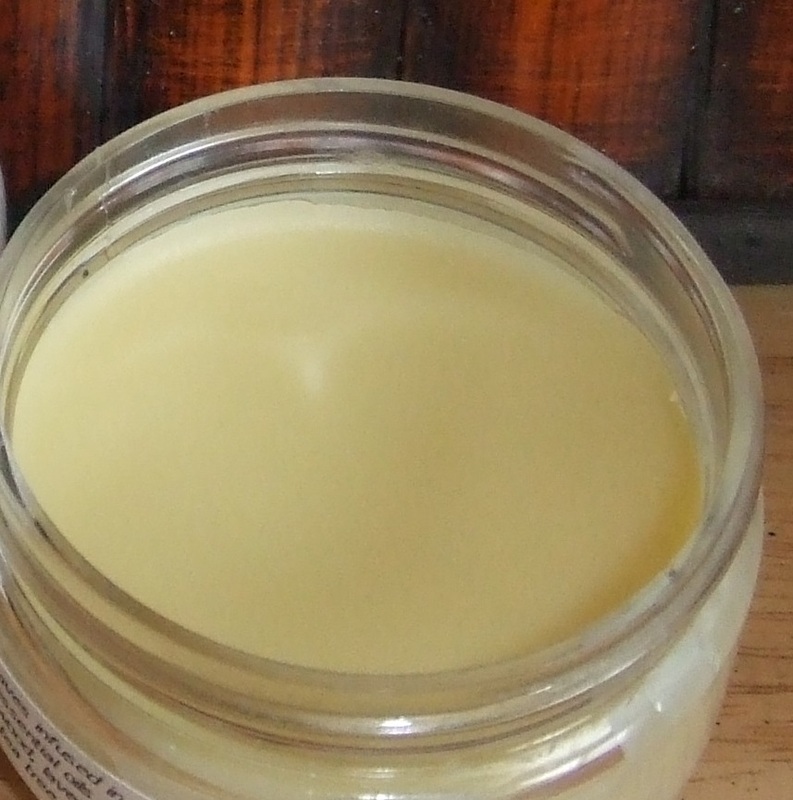 Customers loves these products because they are effective without using harmful chemicals. There's nothing like using Mother Nature's remedies! Check out some of Tom Lawson's beautiful and affordable Re-Purposed Creations. He salvages scrap and turns trash into treasure! 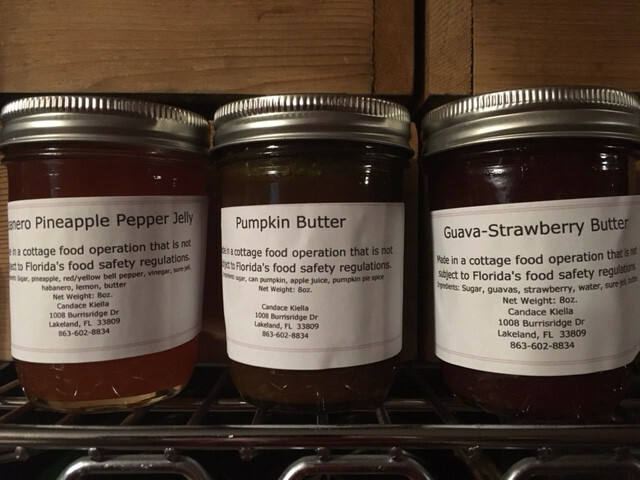 Candace's Homemade Jams & Jellies returns this Saturday. In additions to her normal guava varieties and pepper jellies, she's added pear jam and elderberry jelly. Visit her tent to welcome her back, and try a sample while you're there! Red Roof Farms is about more than just selling honey. They are also local beekeepers and rescuers. This week, they engaged in one of their biggest rescues to date. 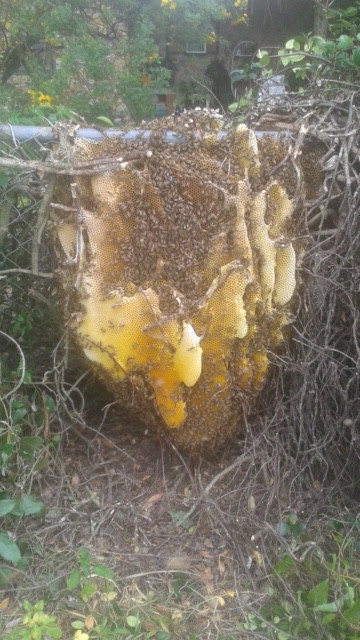 Approximately 85,000 bees were moved from a hive built in a Jasmine bush growing through a chain link fence. We are so happy for the bees and proud of one of our Market vendors for their good work! Red Roof Farms was also recently made aware of a shortage of non-perishable goods at VISTE, a local charity who serves the senior population. 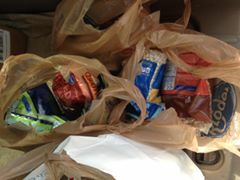 In an effort to help, they will be hosting donation bins at their booth at the Market this Saturday. If you are inclined and able, please bring your donations to the Red Roof Farms tent.